As brands continue to focus on improving the customer experience, incorporating automation into customer interactions is becoming more and more important. 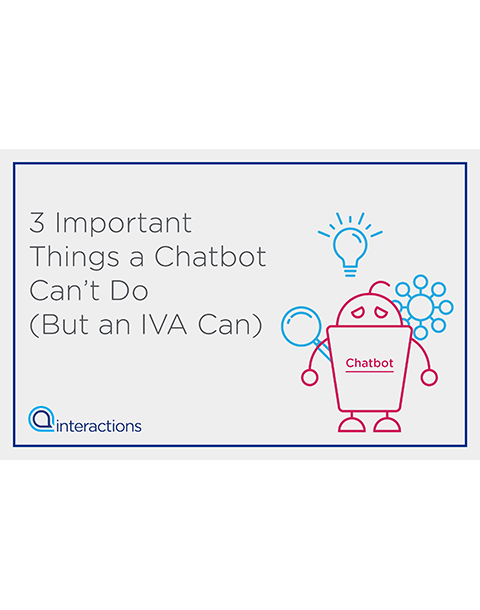 That’s why technologies such as chatbots and Intelligent Virtual Assistants (IVAs) continue to gain popularity. It’s important to remember, however, that chatbots are only as smart as the technology behind them. Where are the areas where chatbots typically fall short? What should your organization consider when selecting an automated customer care solution? 1. What is your company size? 2. How many call center agents does your organization have?